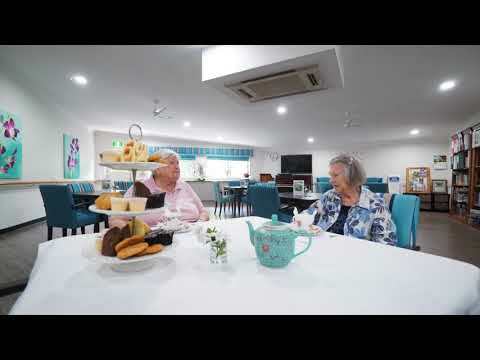 Set in the peaceful surrounds of Wheller Gardens Chermside, Emmaus Village has offered generations of seniors a caring community in which to live. Designed around five interconnected courts, with walkways and large windows highlighting the natural surrounds, Emmaus Village allows residents to feel a sense of space while being in a safe environment. Each court has its own dining room & communal area, creating a lovely close-knit home-like atmosphere. The spacious verandas that adorn each court are the perfect place to relax on a sunny afternoon with friends or family to enjoy a cup of tea. Emmaus residents can also take advantage of two gazebo areas surrounded by lovely gardens, one of which is well equipped to play host to larger gatherings with family and friends with cooking facilities, refrigeration, dishes, cutlery and ample seating. All rooms at Emmaus Village are equipped with air conditioning, flat screen TV, Wi-Fi services and cabling for phone, and offer a private restroom, chest of drawers, built in wardrobe and dressing table. Full laundry services are also available, along with buffet-style dining and the ability to cater for specialised diets. 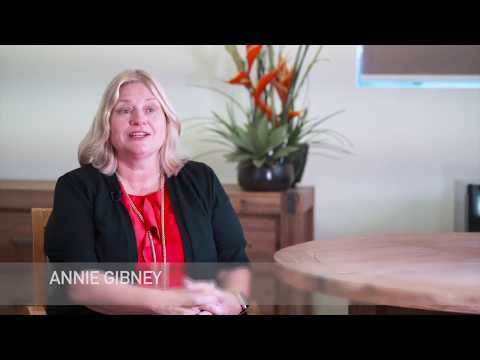 As a resident living at Emmaus Village, you will have access to Wesley Mission Queensland’s on-site residential aged care allied health professionals, providing services such as podiatry, physiotherapy, dietetics, occupational therapy and speech pathology. We provide quality meals to ensure your dining experience is an enjoyable and social one. Chefs regularly meet with our dieticians, nutritionists and speech pathologists to plan a range of delicious healthy meals, which are served buffet-style in our dining rooms. Our approach to dining is flexible. Whether you want to dine with friends in the dining room, entertain family or guests in private dining spaces, or enjoy a quiet meal in your room, it's all about providing choice. Emmaus Village’s dedicated leisure and lifestyle coordinator is on-hand to create spontaneous, meaningful and exciting activities for you to take part in every day, regardless of your physical abilities. Emmaus Village Parkview is opportunely located in easy walking distance to public transport, Westfield shopping centre, multiplex cinemas, restaurants and the Chermside RSL and library hub. Residents enjoy the convenience of a Wheller Gardens bus for regular outings. Specialist services: Dedicated allied health professionals on site offering podiatry, physiotherapy, dietetics, occupational therapy and speech pathology. Full laundry services are also available, along with buffet-style dining and the ability to cater for specialised diets.